¡¡Audition for new dancers who wanted to join our company!! In our rehearsal room, in San Rafael Abajo de Desamparados, see exact address at the bottom of this page. 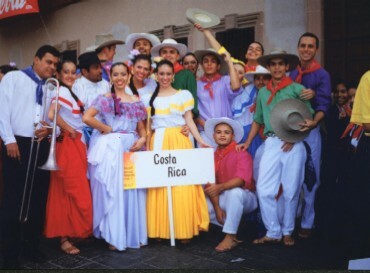 Young people between 10 and 20 years old if have no experience in costarican folkloric dance. People older than 20 years only with previous experience. More information at 276-9716, 376-5654 or 375-0124. 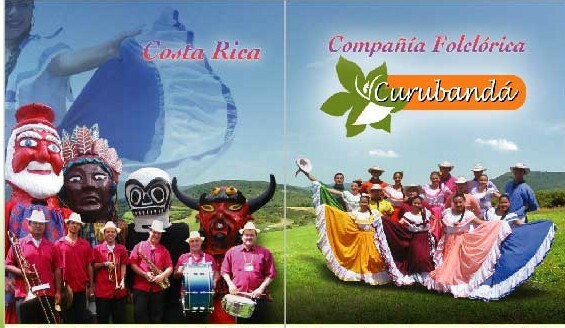 The members of Curubandá Company are people of a wide experience in Costa Rica folklore. Our mission is to preserve, and expose globally, the values and traditions of the costarrican culture, this is possible thanks to workshops, presentations, investigations, cultural exchanges and other life experiences of our members and all of this just to improvement of the costarican society. Get to know our activities and enjoy with us! 26/jul/04 - Added more photos to Album page. To be a leading organization with an international projection in the investigation, exposing the values and traditions of the costarrican culture. To achieve this goal we use different artistic expressions, mainly the language of dance, music, oral traditions and the performance; in order to contribute to the cultural development of the country. Alajuelita", Estructuras Hermanos Jiménez building, 2nd floor. Rehearsals: Tuesday from 6 to 9 pm, Saturdays from 11 to 5 pm.